The personal story of how a psychiatrist confronts the profound changes sweeping the medical establishment as they reshape her life and career. In the past two decades, a seismic shift has occurred within the walls of our nation's hospitals and doctor's offices. The medical profession- once considered a sacred, cherished vocation-has devolved into a business motivated by a desire for profits. Even psychiatry, once the mainstay of the human interaction between doctor and patient, has fallen victim to rising costs and dictates by insurance sources. How has medicine strayed so far from its roots? In The Kitchen Shrink, psychiatrist and lecturer Dora Calott Wang delves into what happened. Through the prism of her own story, Wang elucidates key events in her professional life-the declining state of hospitals and clinics, the advent of managed care, and the rise of profits at the ex­pense of patient care-that highlight the medical profession's decline. Along the way we meet some of her patients, whose plights reflect the profession's growing indifference to the human lives at risk. There's Selena, whose grief over her mother's death and lack of family support make it difficult for her to take the medicine that keeps her body from rejecting her new liver, and Leonard, a schizophrenic with no health insurance who develops peritonitis and falls into a coma for three months. Each new story brings additional compromises as the medical landscape shifts under Wang's feet. She struggles with depression and exhaustion, witnesses the loss of top doctors who leave in frustration, and attempts to find a balance between work and home as it becomes ever clearer that she cannot untangle the uncertain future of her patients from her own. Part personal story and part rallying cry, The Kitchen Shrink is an unflinchingly honest, passionate, and humane inside look at the unsettling realities of free-market medicine in today's America. "A beautifully written memoir about the author's frustration with the transformation of the profession of medicine into the business of health care, and the unraveling of the doctor-patient bond...A thoroughly compelling message- without an ethical commitment to the value of every life, "the very humanity of our society" is at stake." "In a memoir that reads like a quest, psychiatrist Wang reports a decades-long mission to discover or, rather, rediscover the profession to which she once aspired and that is currently becoming more and more obscured by the burgeoning so-called health-care industry. Her personal story dovetails with an account of a medical profession floundering under an ever-increasing avalanche of paperwork, driven by and a consequence of the profit motive. This all began, she says, in the 1980s with deregulation, and it represents a 180-degree reversal of previously held notions about the medical profession, from a time when "courts repetitively ruled that it was 'against sound public policy' for companies to seek profit from medical care." Insisting that for-profit medical care is counterintuitive to good medical care, this daughter of an economics professor notes that good medical care lessens the need for itself and does not look for repeat business. That the current health-care crisis has caused anguish and even physical illness in Wang and her like-minded peers registers near palpably." Most purposeful and powerful in acknowledgment for those who find themselves questioning medical experiences as patients and advocates for our family's health and the future of health care. This doctor's perspective gave validity to my own concerns and proactive measures of selecting health plans and ensuring that my family both question and demand quality care in medical experiences. Quite honestly, we all need to do more to be informed and to advocate for our systems that provide care in all communities. I delighted mostly in the reality painted across these pages and the genuine nature of Dora. Thank you for such a wonderful read that will stay with me in every aspect of life. Askwali/Thank you. A terrific book exploring the history of medicine and psychiatry in the modern era. From mental health research to touching patient stories, the realities of funding cuts to the heroism of caring clinicians and inspiring patients this book has it all. If you ever wanted to learn more about healthcare in the modern era and how the field is changing, this is the book for you. Clearly written, informative, and fun to read. An easy recommendation. 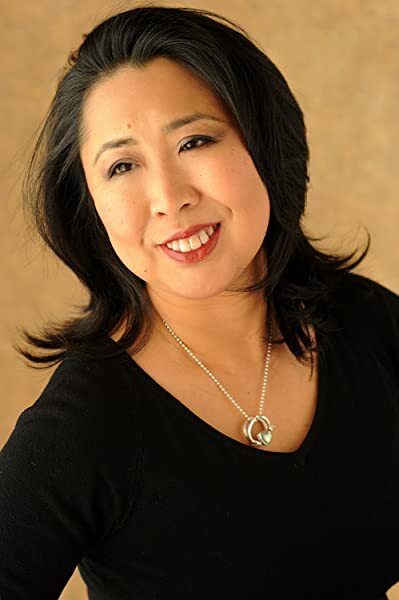 Dr. Dora Wang has done what few physicians have had the courage and humility to do-she invites us into her world in a deeply personal but never self-centered way--and in a way that allows us to learn from her journey of hard-won knowledge, of difficult choices and of coming to terms with increasing practice limitations. This highly recommended book engages us immediately in a personal quest that feels almost universal while simultaneously offering multiple insights into the practice of medicine today. As she notes when temporarily disabled herself: "Health insurance is for the healthy...it is unavailable to people too sick to hold a job." 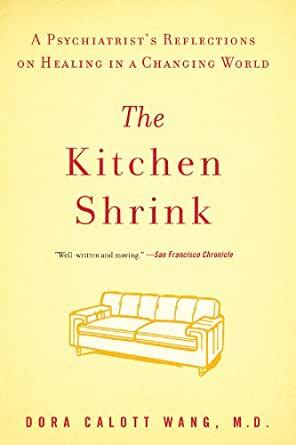 Naturally The kitchen shrink focuses particularly on the practice of psychiatry which, with the advent of Prozac along with pressures to treat ever more patients in shorter times, means that psychiatrists must "squeeze in psychotherapy." Dr. Wang observes that the "subconscious seems to be disappearing from psychiatry" and offers a searching reflection on whether "antidepressants [are] enabling a more abusive society." Given that we all depend on physicians, it's helpful to understand major influences on their development. As she notes: "In medical school, we learned to always do two things at once." Advice included "try to talk like a speeded up recording" because those minutes saved mean a little more sleep. Even as she "notices a change...a wall that grows between who I was and who I am now" as a result of this process, it's also clear that Dr. Wang retains her own humanity and her humane orientation to her patients. We believe her when she states: " I still carry a flame that won't be extinguished, at least not yet". This important book inspires as well as informs. Fascinating story of the many changes in Medicine with the commercialization of medical care. Should be read by all interested in Psychiatry and Medicine. A complicated issue and subject material reduced to what I would call a "conversational" read...This book is readable and is typically consumed in one sitting. This is a very well-written and current evaluation of our present mental health care field. Dr. Wang's personal experienes and insights add depth and clarity to the situation. This is a most worthwhile read for anyone interested in the problems confronting both mental health care professtionals and patients in the changing world of medical care in America. A good look at at modern psychiatry.